The surname Atcherley (sometimes written as Atcherly and in the past also as Acherley) appears to have originated in Shropshire and has an ancient pedigree. One of the oldest documents featuring the name dates back to the early 1400s and can be found in the Shropshire Archives. Among two dozen of the residents of ‘Basschurche’ listed therein is Hugh de Acherley. Another early Atcherley was mentioned in Sir Bernard Burke’s Genealogical and Heraldic History of the Landed Gentry. Sir Roger Atcherley (or Achelley), also from the Shropshire parish of Baschurch, was elected sheriff of Middlesex and London in 1504 and chosen to be Lord Mayor of London in 1511, during the reign of Henry VIII. He “filled several civic offices of high trust with distinction” before his death in 1521. The Atcherley name has survived through the centuries, borne by farmers and farm labourers, doctors and vets, merchants and drapers, engineers and chemists, artists and musicians, soldiers, sailors, Royal Marines and RAF pilots, Knights of the realm and domestic servants. Whether their lives were ordinary or extraordinary, all the Atcherleys have stories to tell. With the help of various public records, books, wills, other historical documents and the recollections of their living descendants, I am in the process of telling the stories of the Atcherleys and tracing their family trees at the Atcherley family history website, Atcherley.org.uk. There is however another resource which might help to reveal more about the Atcherley family's history - the DNA of Atcherleys and Atcherley descendants alive today. Update: See News for information about our first test results and possible links with the Atchley surname. 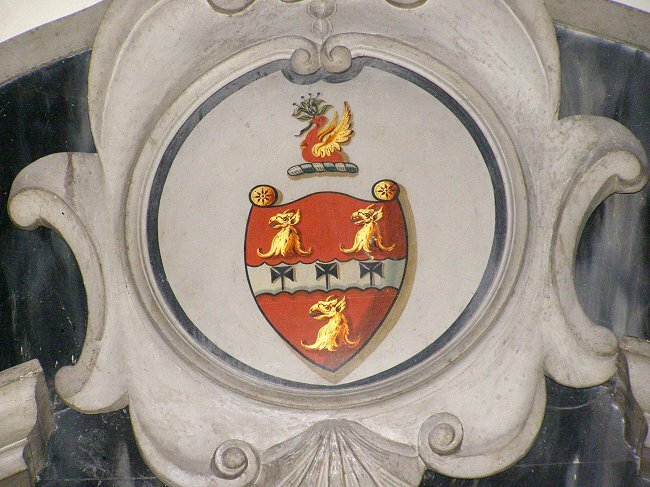 Photo: The arms and crest of the Atcherley family of Marton Hall in Shropshire.